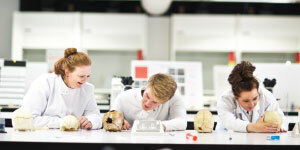 Staffordshire University launches Human Biology with Pre-med, new for 2019! 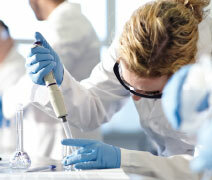 For a full list of compulsory and optional modules, visit staffs.ac.uk/course/human-biology-with-pre-med-bsc. Tuition fees for a bachelor’s degree are £12,500—approximately $15,900* per year. Living costs are about £9,135—approximately $11,620* per year. This does not include travel to and from the United States. * Costs are based on currency exchange rate at time of print. Staffordshire University is the United Kingdom’s Globally Connected Digital University. Situated in the very heart of England, it unites communities in inspirational environments and helps students fulfill their career aspirations. Human Biology with Pre-med is a UK-based BSc (Honors) degree program that will give you advanced knowledge and practical skills in Human Biology while also supporting you with Pre-med study. This course is ideal if you are interested in a quality degree program focusing on the fascinating areas of human structure and function, anatomy and physiology, genetics, and biochemistry in relation to human health and well-being. These will be complemented by prerequisite modules such as organic chemistry, math, and physics and an individual laboratory-based research project in the final year. Based in the modern, purpose-built Science Centre, you’ll follow a core program of practical exercises and workshops, supplemented by lecture material and a personalized tutoring program. This course was designed to allow students who wish to pursue a graduate medical degree in the United States to complete all the prerequisites for their continued medical studies within their UK degree. By studying at Staffordshire University, you will have a recognized undergraduate degree completed in just three years at a fraction of the cost of a US degree. 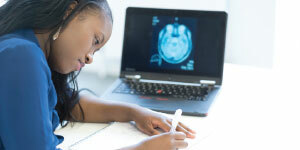 There may also be an opportunity during the third and final year to study and sit for the MCAT to help you plan and prepare for your continued medical studies. When you choose to study Human Biology with Pre-med at Staffordshire University, you’re choosing to study in the £30 million Science Centre with state-of-the-art facilities and equipment. The Science Centre houses all the University’s science teaching and research endeavors across the forensic, environmental, and biomedical sciences as well as psychology, sports science, and biomechanics. Ranked as a top 50 UK university, Staffordshire University is focused on student and graduate employability, and this shows in the 95.6% of graduates who went on to employment or further study last year. In the 2018 National Student Survey, the Biological Science BSc (Honors) and Biomedical Science BSc (Honors) degrees both achieved 100% overall student satisfaction scores. The BSc (Honors) Biomedical Science degree also has a 100% Employability in the Destinations of Leavers from Higher Education 2017.